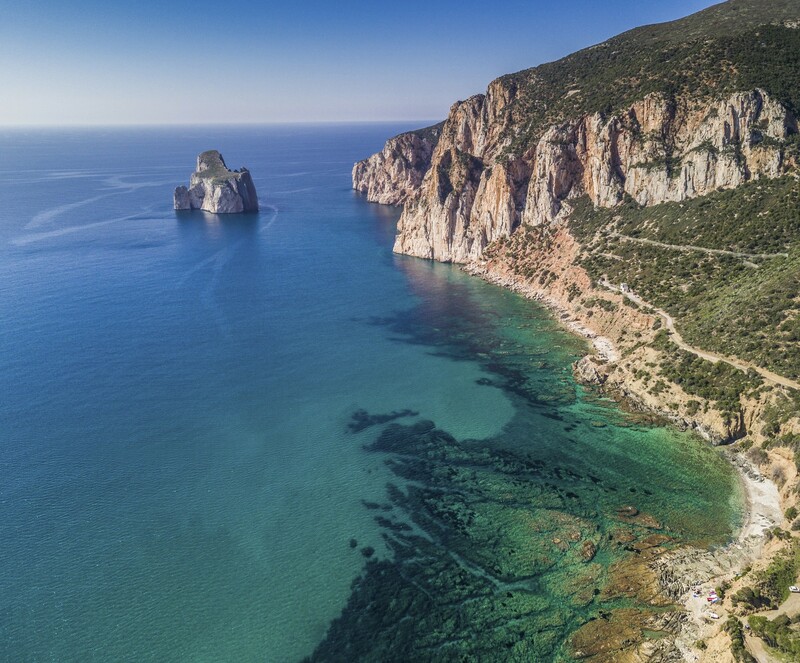 A tunnel approximately 600 metres long, dug out of the rock by the miners, appears halfway up a cliff, offering a breathtaking view of the captivating Pan di Zucchero sea stack, a 132-metre natural monument shaped over time. 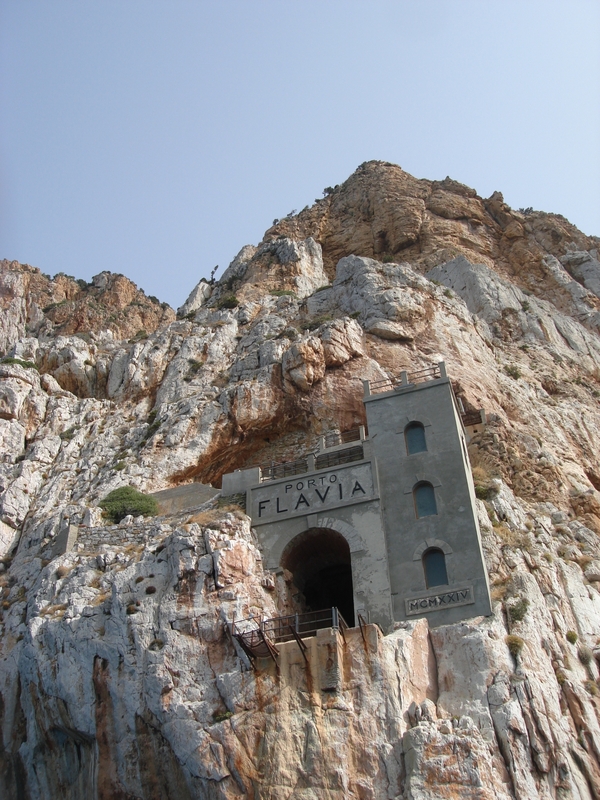 The mine of Porto Flavia, on the promontory that dominates Masua, in the territory of Iglesias, built between 1922 and 1924, was a daring enterprise suspended between sky and sea, that made it possible to load minerals directly onto the ships, destined for the northern European foundries, drastically reducing time and cost of transportation. 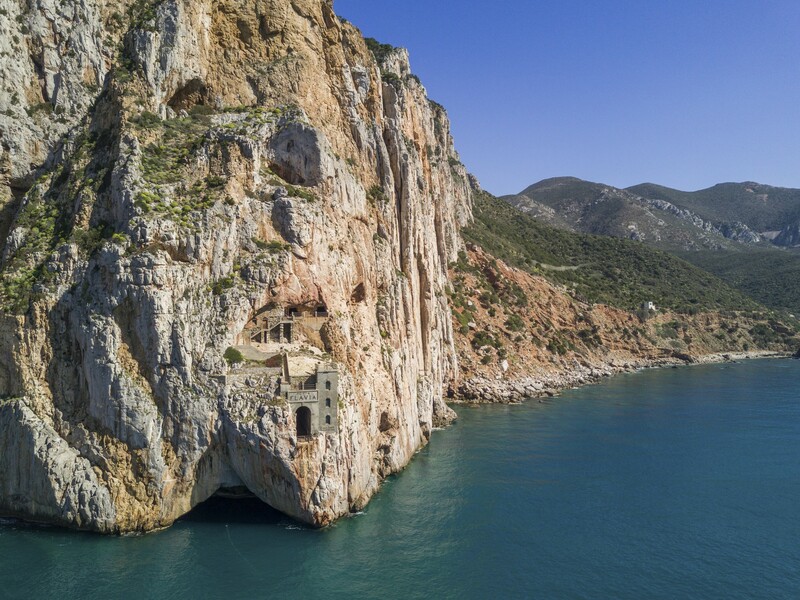 Two tunnels, one on top of the other, overlook the sea and are interspersed with silos that can contain up to 10 thousand tonnes of material. The silos were loaded in the upper tunnel, while from the lower one, equipped with a conveyor belt, lead and zinc were loaded onto steamboats, thanks to a movable arm. This unprecedented engineering masterpiece was designed by director Cesare Vecelli. He named the "port" after his daughter Flavia, whose name appears on the medieval-style tower at the entrance to the tunnel. In order to understand the scope of this revolutionary feat, keep in mind that, up until that moment, minerals had been loaded by hand onto the galanze (sailing ships) and transported to the port of Carloforte, from where they set off to reach the Continent. The beginning of the extraction activity dates back to the middle of the 19th century. At the end of the century, the mine was a great centre of extraction activities, with over 700 workers. After a short slowing-down period, in 1922 the Belgian company of Vieille Montagne brought new impetus to the mine. Then the crisis of the 1930s continued on with its slow decline. 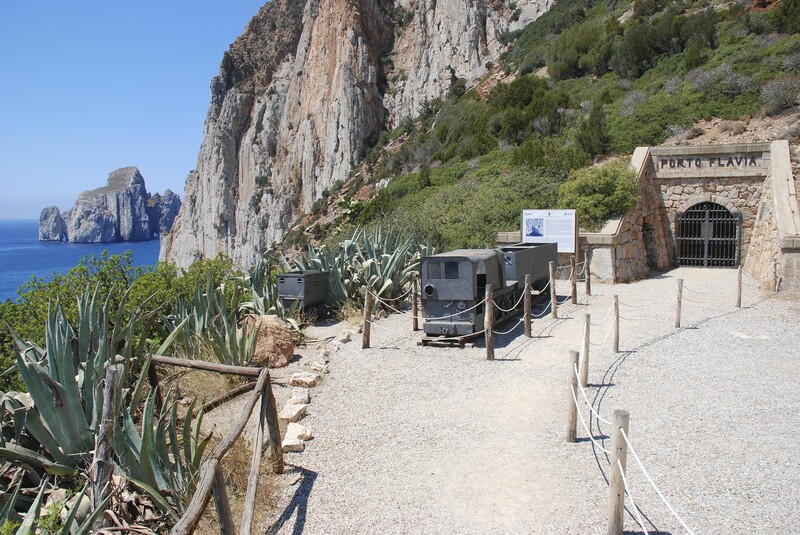 The complex of Masua includes a mining village on the steep slope of Punta Cortis: school, hospital, church, laboratories and houses surrounded by greenery located at different heights on the rocky slope. The Museum of Mining Machinery is also an interesting place to visit: inside it, there are about seventy machines, as well as mining tools and equipment. 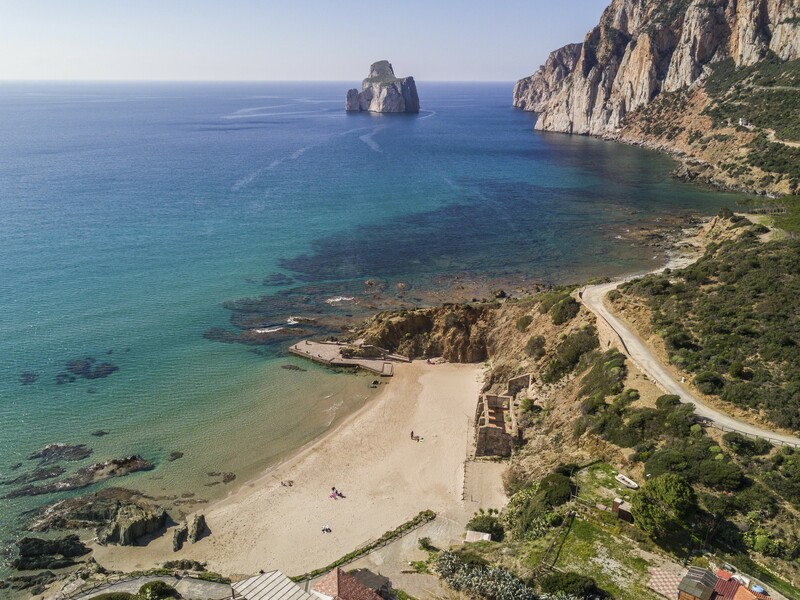 After the historical-industrial tour, you can relax on the little beach of Porto Flavia, which looks out onto the crystal clear sea alongside the ruins of the mining facility, surrounded by a cool pine forest.